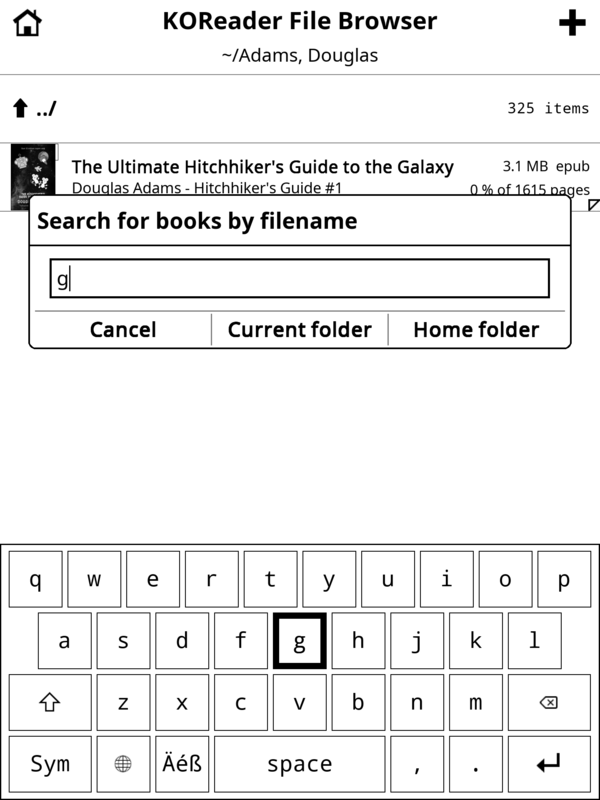 Square keys with a thin border, and changed the flash from an invert to a temporary thick inner border, as discussed on Gitter (àla Kindle). Well, that wasn't so gnarly after all ;). Did not manage to make the disappearing key phenomenon any better, though. Just confirmed that it is indeed left to the mercy of the kernel/eInk controller. On the plus side, the design change gets rid of the small glitchy corners that sometimes happened since the targeted repaint changes. As for the "flash", it has the added benefit of not touching the glyph's background, which means the fb content doesn't change, which in turns means the A2+FORCE_MONOCHROME update doesn't stomp on the glyph's AA ;). Instead of disappearing keys, you (potentially, when spamming) have larger shreds of keyboard disappearing, but only temporarily (I did not manage to get stuck with bits of invisible stuff). @Frenzie: Yeah, I remember the good old "tearing" thread ^^. Hmm, yeah, I think the current behavior is the least annoying. I could only mostly really get rid of eInk shenanigans by delaying the callback a lot (500ms), and the unhighlight a bit (150ms), and that wasn't particularly fun to use. Also, managed to find out many new weird things about how broken A2 is on Kobo :D.
(I was testing setting the fb @ UR yesterday, which exacerbated the behavior. Confirmed with outside testing that it's wonderfully broken, so, I'll be fixing that for KSM users ;)). With the less broken rotation, I mostly get skipped unhilights instead of disappearing keys, which more closely matches the native keyboard. I also definitely get the kernel shouting "many collisions, handle it!" at me :D.
Thanks for the xref @avsej, I'd forgotten that we had a FR open about it ;).